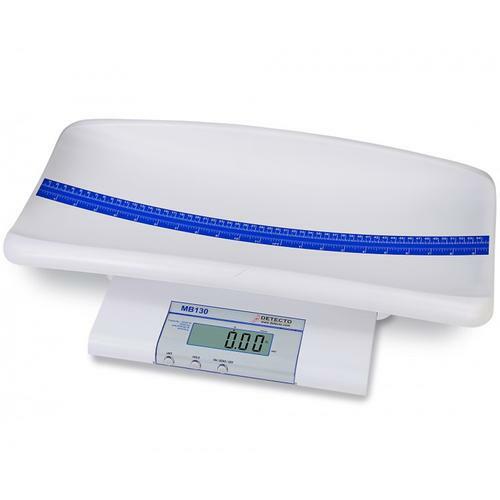 With dual graduation ranging from neonatal to pediatric care ( 5/10 gram .01/.02 lb ), Detectos MB130 features a removable baby tray which automatically converts the scale into a low-profile step-on toddler scale with a capacity of up to 20 kilograms / 40 pounds. 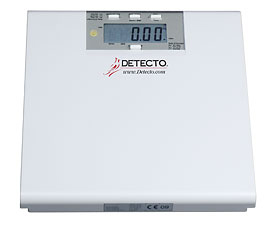 The easy-to-read LCD features pounds and kilograms units. Power is provided by either 9-volt battery (not included) or AC adapter (included). The lightweight, comfortable design makes these scales ideal for visiting nurses and pediatric care professionals. Detectos model DLM Digital Baby Length Measuring Device provides lightning-fast readouts. The lightweight design and battery power make it ideal for easy transport from one patient room to another May be used stand-alone on an exam table or with Detectos model MB130 and MB150 pediatric scales. DETECTOs mechanical infant stadiometer is a durable, portable length measuring device which ensures years of trouble-free operation and requires no electricity to operate. The model MLMs graduation measures in 0.125 in / 1 mm increments ranging from 2.5 to 39 in and 65 to 1,000 mm, so it may be used with not only babies but also infants up to two years old. The portable slider features soft ergonomic edges to protect young patients from unnecessary injury and maximize patient comfort while measuring. The calipers of the portable infant stadiometer conveniently fold in for easy transport or storage. SMART DESIGN The instruments smart design allows the measurement to be retained after usage freeing the medical professional to attend to the patient first before recording the measurement. The light cream color is neutral to compliment all medical settings and the high-contrast measurements are easy to read. Detectos MLM Infant Stadiometer is Ideal for Pediatricians Offices, Clinics, and Hospitals .